Something that looks so simple was actually incredibly complicated design challenge. 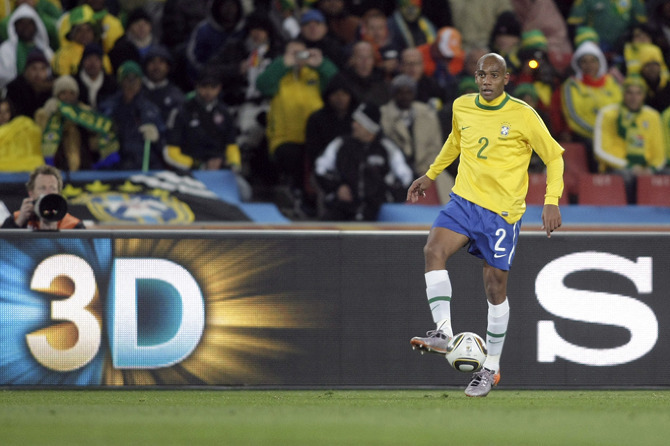 UEFA used printed boards, whereas the 2010 FIFA world Cup used LED boards. We went through many, many iterations testing legibility against overall noticability, in sunlight, night time spotlights, camera pans you name it. 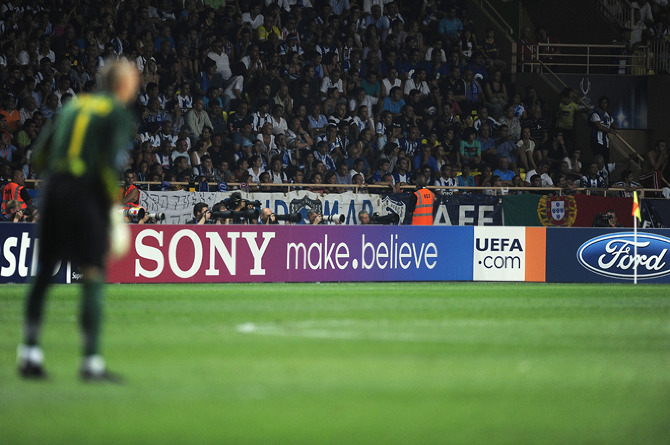 For UEFA we experimented with creating an overall eye-catching backdrop to the instantly recognisable Sony logotype. It was easy to plan because all of the games took place at night, and so sunlight wasn’t an issue. 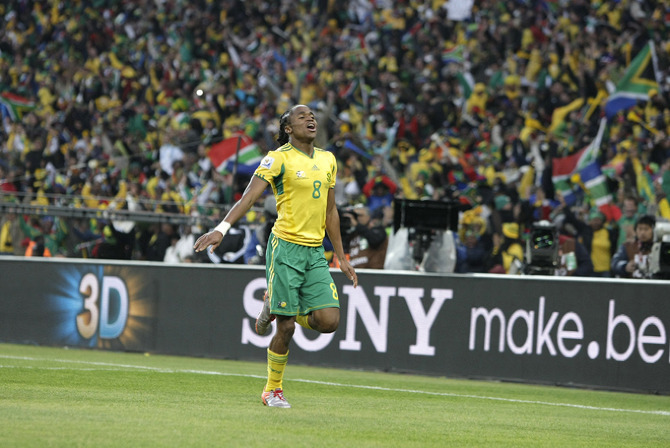 For the World Cup however, we had to plan for night time games as well as strong, direct African sunlight during the day. 3D was the big message and so we also had to incorporate that in to the boards, modifying the logo after the original version disappeared during camera pans.